From the critically acclaimed author of This Burns My Heart comes a gorgeous, emotionally wise tale about a daughter who unearths the hidden life of her enigmatic mother. Mara Alencar's mother Ana is her moon, her sun, her stars. Ana, a struggling voice-over actress, is an admirably brave and recklessly impulsive woman who does everything in her power to care for her little girl. With no other family or friends her own age, Ana eclipses Mara's entire world. They take turns caring for each other—in ways big and small. Their arrangement begins to unravel when Ana becomes involved with a civilian rebel group attempting to undermine the city's torturous Police Chief, who rules over 1980s Rio de Janeiro with terrifying brutality. Ana makes decisions that indelibly change their shared life. When Mara is forced to escape, she emigrates to California as an undocumented immigrant and finds employment as a caregiver to a young woman dying of stomach cancer. It’s here that she begins to grapple with her turbulent past and starts to uncover vital truths—about her mother, herself, and what it means to truly take care of someone. Samuel Park was an Associate Professor of Creative Writing at Columbia College Chicago. He graduated from Stanford University and the University of Southern California, where he earned his doctorate. He is the author of the novella Shakespeare’s Sonnets and the writer-director of a short film of the same name, which was an official selection of numerous domestic and international film festivals. He is also the author of the novels This Burns My Heart and The Caregiver. His nonfiction has appeared in The New York Times. Born in Brazil and raised in Los Angeles, he split his time between Chicago and Los Angeles. 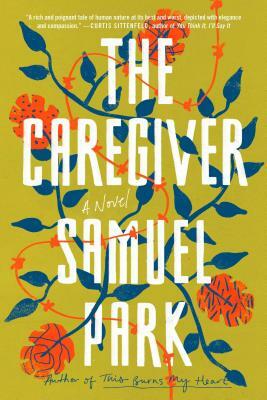 In April 2017, Samuel Park died of stomach cancer at the age of 41 shortly after finishing The Caregiver.